Catherine Kelly cares for her mother Isabel, 81, who has end-stage vascular dementia. About 270,000 seniors with dementia were being cared for at home in 2015-16, according to a new report. 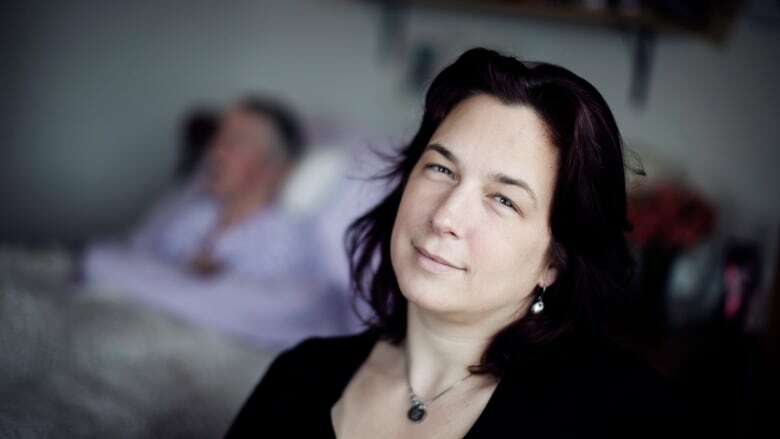 For the last five years, Catherine Kelly and her partner have been providing live-in care for her mother, who developed vascular dementia after suffering a stroke in 2008. As parents of two small children, being caregivers is a 24-7 labour of love — but one that can be exhausting and isolating, concedes Kelly. Her mother, Isabel, 81, has end-stage dementia, which has advanced to the point where she is essentially unable to speak or move her limbs. For the first four years, Kelly and her brother had shared the care of their mother, who had been able to travel back and forth between her daughter's home in Ottawa and her son's in Halifax every three to five months. "But we realized in 2012 that the dementia was progressing in a way that we knew that within a year she really needed to be in one place," said Kelly. So later that year, she and partner, Wayne Walsh, moved to Harbour Main, N.L., bringing her mother to live with them in Isabel's home province. Even with hired personal care workers providing more than 60 hours a week to help look after her mom, she admitted that juggling all the family caregiving responsibilities can be "intense," especially with Walsh away for 21 days at a time for his job on an ocean oil rig. "You're constantly strategizing and planning just to make life happen," Kelly said. "There's all the practical pieces of the care, meeting physical needs … it's so layered, but it's your life and you figure out the best way to do it." More than 402,000 Canadians aged 65-plus are estimated to have some form of dementia, with 61 per cent of them living in the community, says a report by the Canadian Institute for Health Information (CIHI) released Tuesday. About 270,000 seniors were being cared for at home in 2015-16, the period covered by the report, with children (58 per cent) and spouses (32 per cent) most commonly taking on the role of caregiver for a loved one with dementia. CIHI found 45 per cent of family caregivers experienced distress related to their role, compared with 26 per cent of those providing care for seniors without dementia. Unpaid caregivers of seniors with dementia spent an average of 26 hours a week providing care, compared with 17 hours for caregivers of seniors not afflicted with the progressive neurological disorder. "What we can see is that caring for seniors with dementia is difficult," said Tracy Johnson, CIHI's director of health system analysis and emerging issues. "We also see higher distress levels in folks who are caring for seniors with dementia." Distress comes in the form of burnout or feeling that one can't continue to cope with the demands of caregiving, said Johnson, noting that as dementia worsens, there can be not only loss of memory and other cognitive functions, but also personality and behavioural changes. "Unpaid caregivers may find themselves assisting with a range of activities," the report says. "These include chores, meal preparation and transportation, as well as personal-care support with bathing and dressing. Caregivers of those with dementia also take on additional responsibilities, such as providing emotional support, managing challenging behaviour and ensuring their loved ones' adherence to medication." "What this report indicates is that probably more help is needed," said Johnson. While Kelly has a circle of people who help look after her mother, she said being a full-time caregiver can be isolating and lonely, as stigma associated with the disease can mean losing touch with friends and others who may be reticent about interacting with someone with dementia. Still, while Kelly has had moments when she's felt depleted, with nothing left to give, she also recognizes that she has a wonderful relationship with her mother, whose personality has not been altered by the dementia. "She's a person who's just incredibly beautiful and kind and loving, and she has remained rooted in that" — something her daughter calls a gift. And there are rewards, she suggested. In November, with Isabel having a day of particular mental clarity, Kelly asked her mom if she was happy and comfortable — to which she answered yes to both. "Mom, do you want to die?" her daughter then asked. "No," she said haltingly. "Love you. Home. Love you." 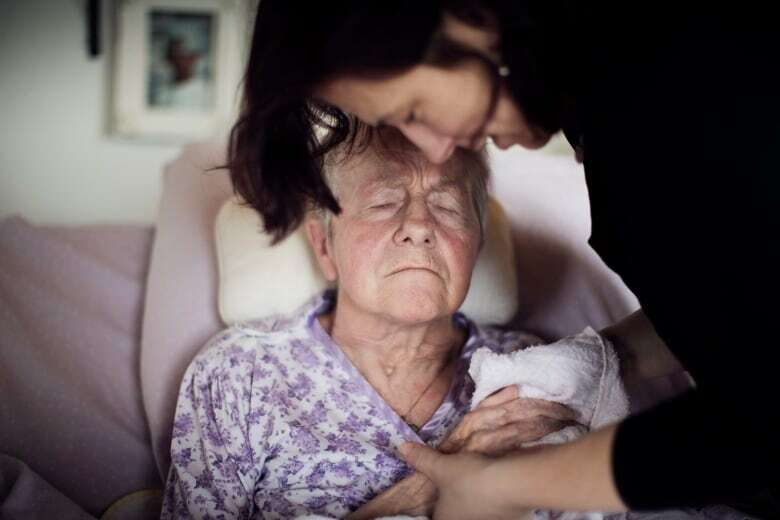 Palliative home care in Ontario: what's the standard?